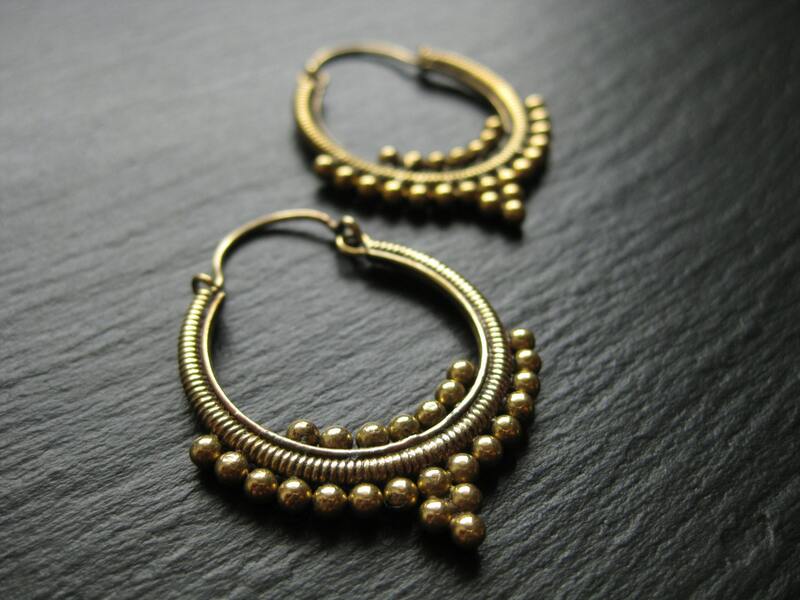 Dot work brass hoops inspired by tribal rajhastani adornments from India. 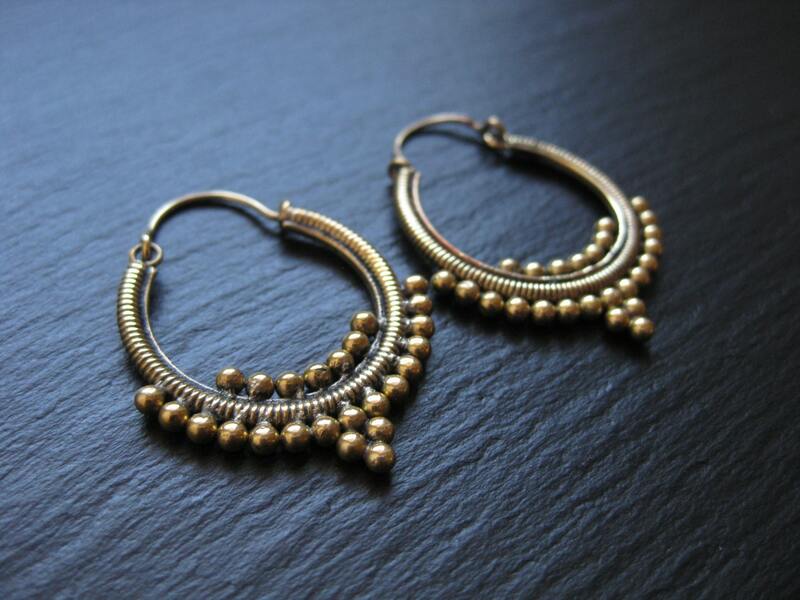 Brass is an alloy of copper and zinc and is NICKEL FREE. 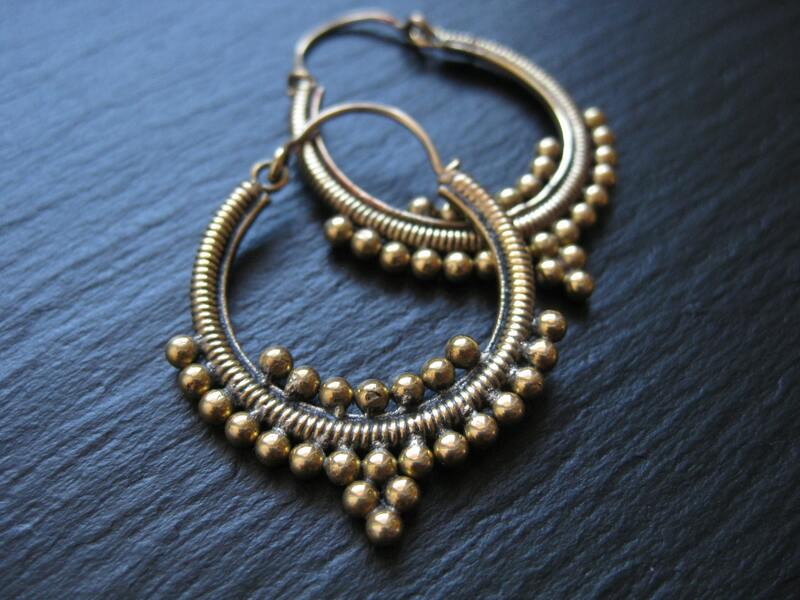 The earrings are beautiful, just what I was looking for! 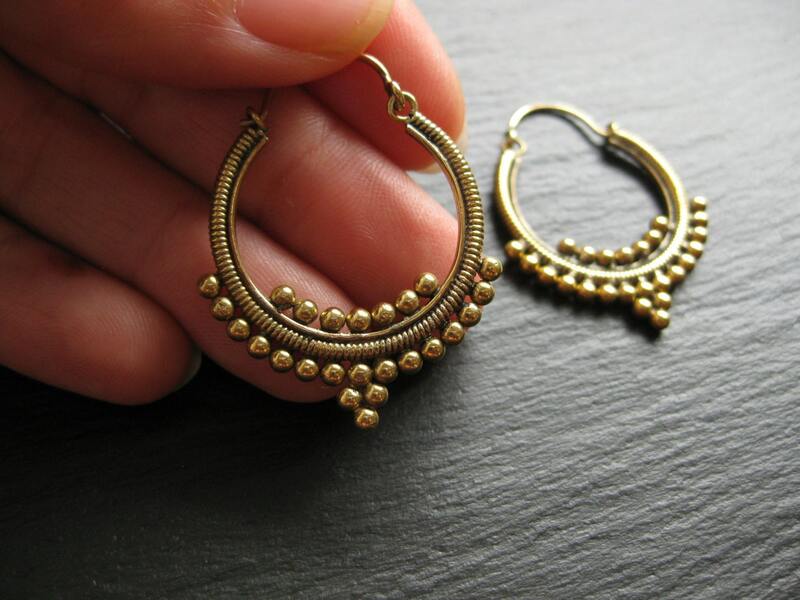 Smaller than they look in the photo, I wish they were a little bigger, but they are lovely none the less.